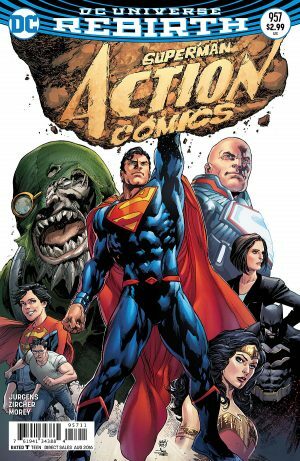 Action Comics #957 Spoilers & Review: DC Comics Rebirth Bring Us Superman x 2, Clark Kent x 2 & More DC Rebirth! 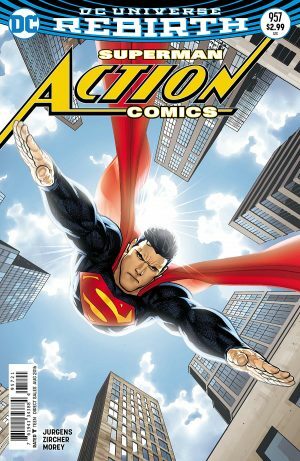 Spoilers for Action Comics #957 follow. A cleanly shaven Superman confronts Lex Luthor believing him to be villain not hero. 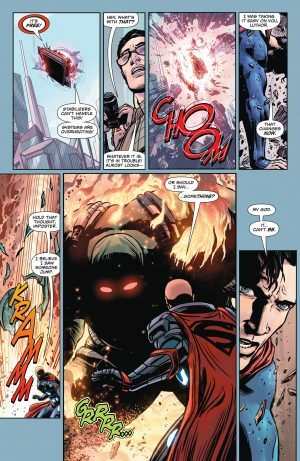 The world throught the New 52 Superman was dead, so this is a bit of a revelation. 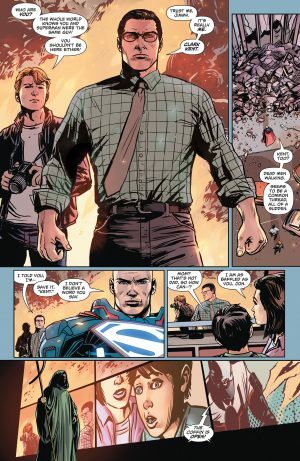 Jimmy Olsen calls for a reporter. 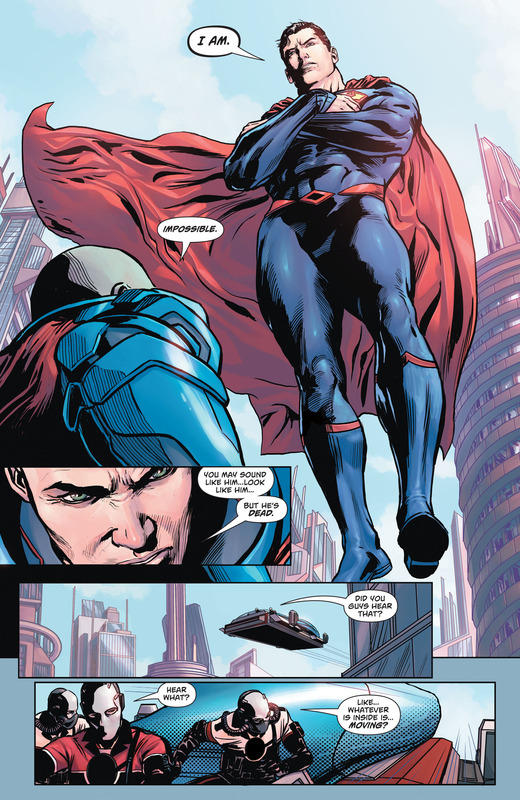 And a big one shows up… Clark Kent! This also a revelation as the DC New 52 Lois Lane had exposed Clark Kent as Superman. Yet, here they both are, back from the dead and different people. 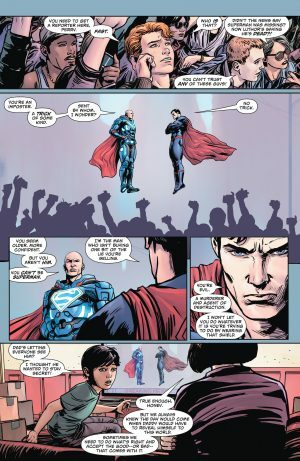 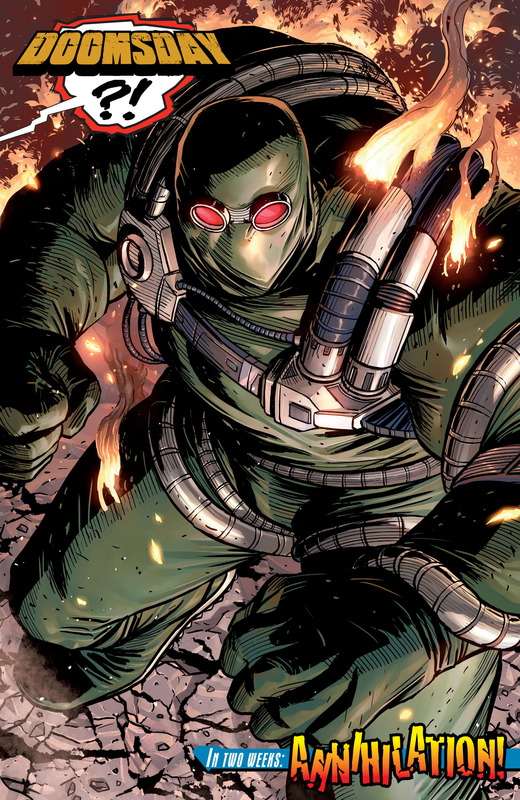 Before Lex Luthor and Superman return to battle, they are interrupted by a famiLiar foe. We saw this coming from the cover, but a chilling cliffhanger nonetheless.